The end of December is quickly approaching, y’all, which means it’s time to set some New Year’s resolutions. If you’re hoping to step your cooking game up next year, you might be interested in some of Amazon kitchen gadgets for 2019. Whether you’re looking for high-tech butter knives or stainless steel dumpling molds (yes, they exist), you can find ‘em online. Once you get your hands on a few of these devices, you’ll be able to channel your inner chef in no time. Back in February 2018, the Foodbeast team rounded up 15 must-have Amazon products for your kitchen, and the list was pure fire. Between vegetable peelers, defrosting trays, “thaw claws” and more, it was packed with items that would take your kitchen to the next level. However, Amazon stepped its game up for 2019 and is currently selling gadgets that you’ll definitely see in yours and your friends’ houses this year. Let’s get to it, shall we? Make some room on your counter, because you’re going to want to stock up on these kitchen toys ASAP. 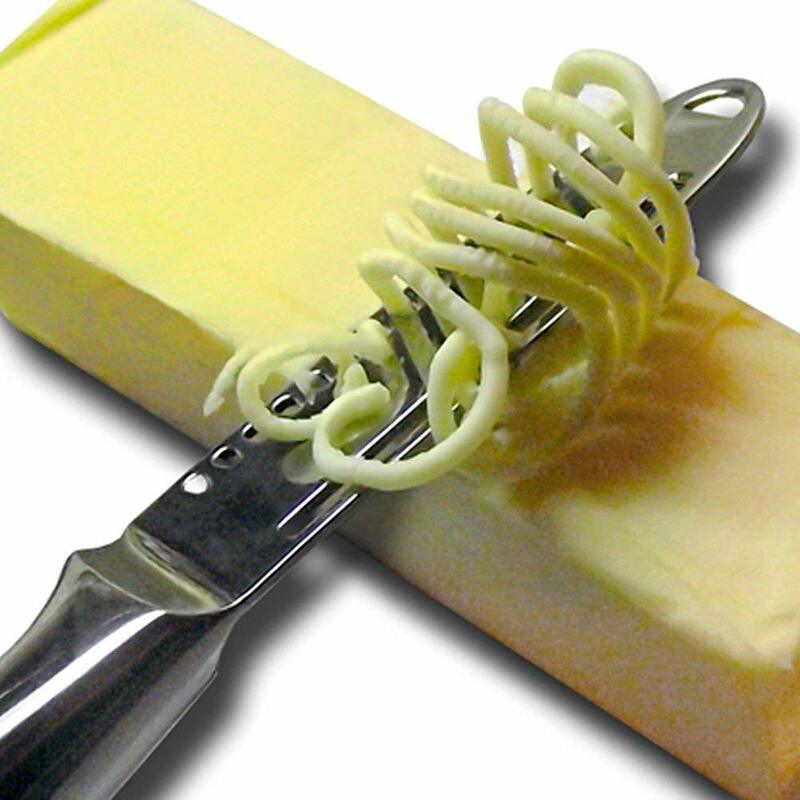 This 3-in-1 “magic” butter knife will bring your butter-spreading skills to the next level. 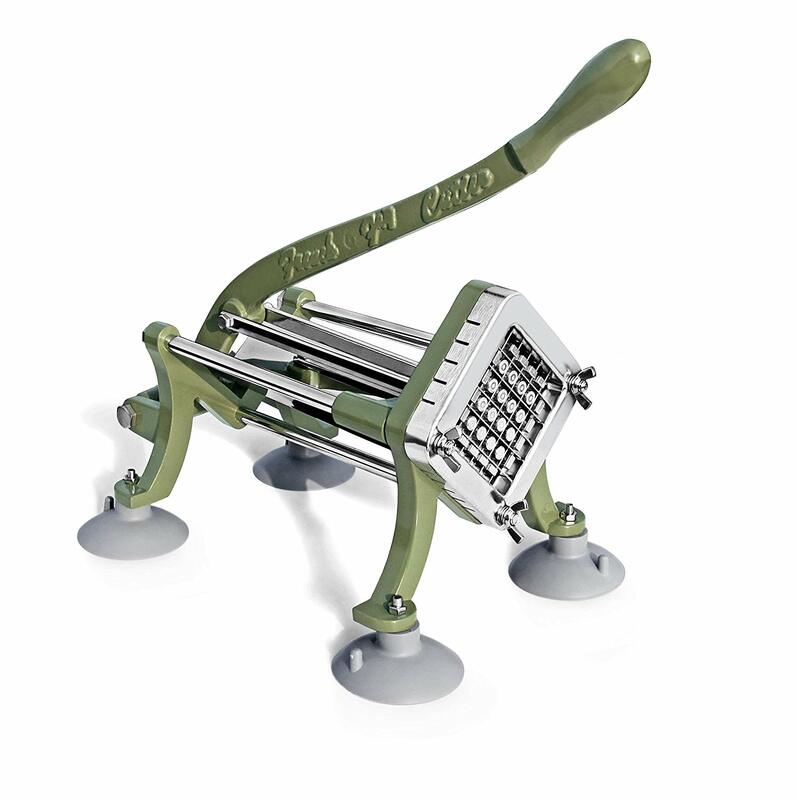 Not only does it spread the goods, but it also grates it, slices it, or curls it. Whether you’re planning on adding butter to your bread or adding a fancy side to your steak, this knife will have you covered. Why order takeout dumplings when you can make your own? 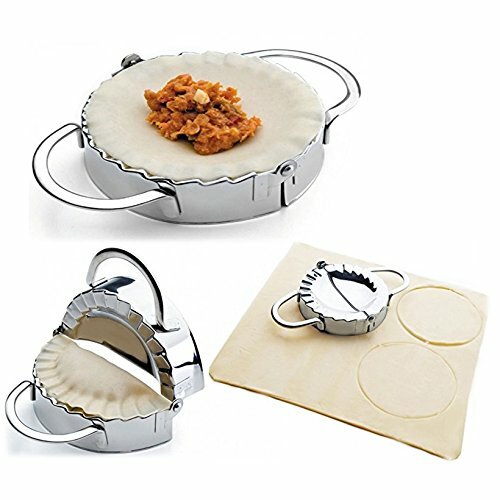 These stainless steel molds will let you fill your dumplings with whatever your heart desires. Plus, they’ll crimp the edges of each one to give ‘em that “pie crust” aesthetic. 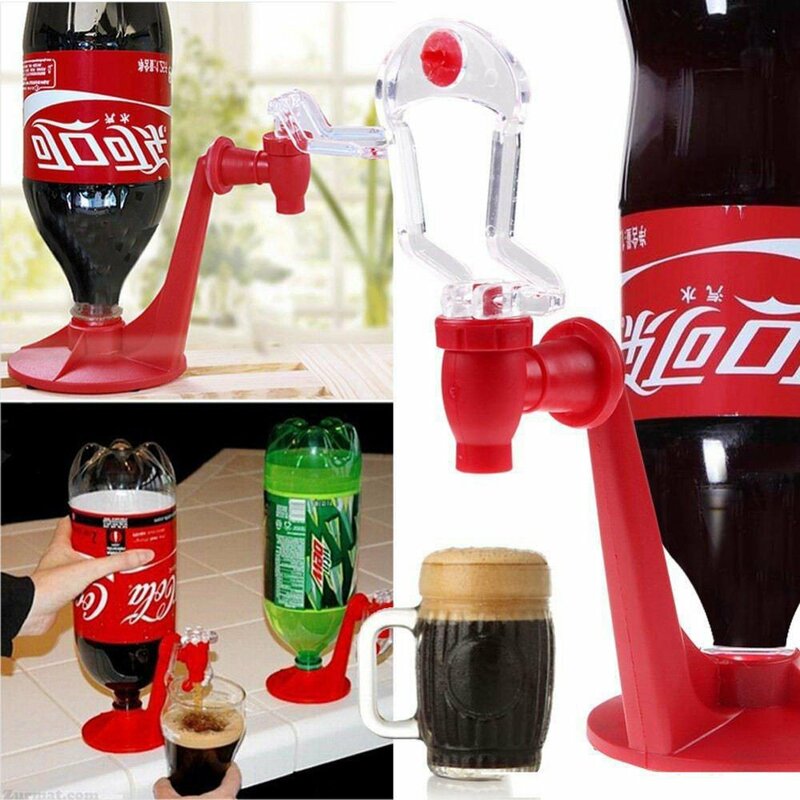 If you’re sick of flat soda, you should definitely give this portable soda dispenser a try. All you have to do is twist the device onto your bottle and start serving up the fizz. 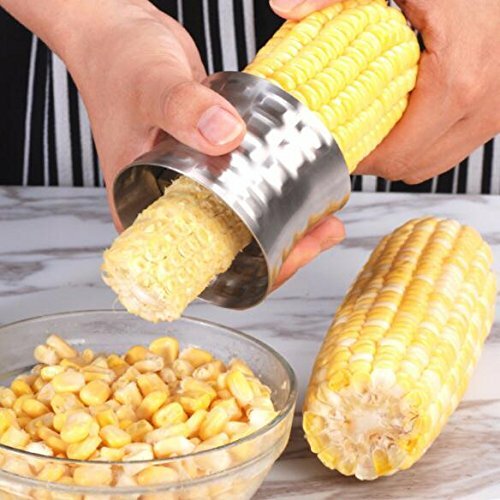 Peeling corn the old fashioned way can be a total drag, and this gadget is going to help you do that without flaw. All you have to do is rotate your cob through the device and watch the kernels fall. 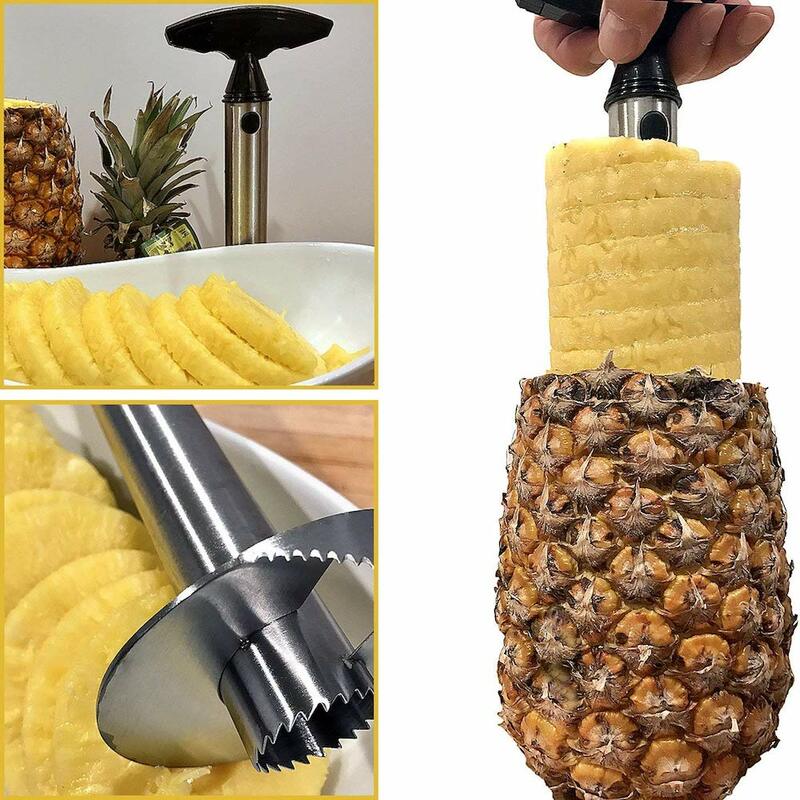 Cutting pineapples can be tough, but this stainless steel slicer will help you cut the juiciest pieces without the hassle. All you have to do is slice the top of the pineapple off and start twisting the blade into the fruit. It’s literally that easy. If you’re someone who likes licking the spoon when you’re done baking, this gadget might not be for you. 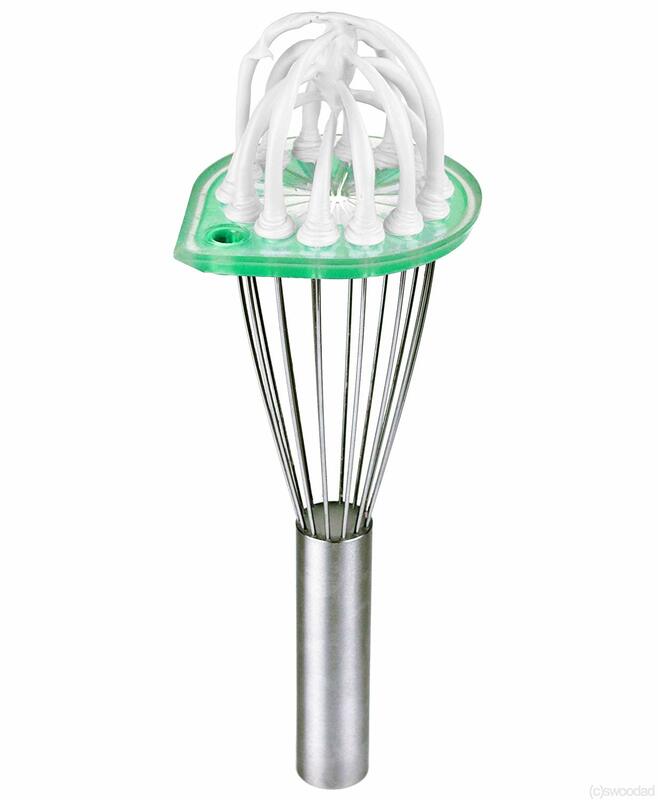 However, it’s great for anyone who hates cleaning in between all of the metal rods on a whisk. 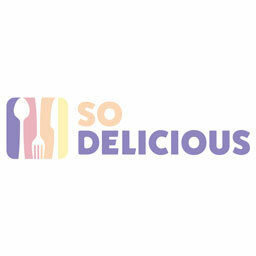 All you have to do is glide the device from the bottom to the top of the utensil, and it’ll collect leftover residue as it goes. 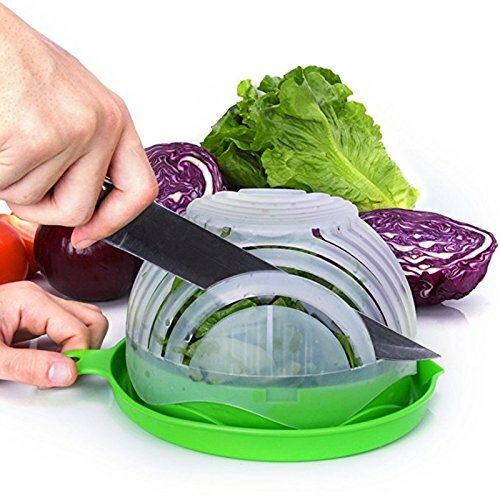 Chopping the perfect salad can be tough, but this salad cutter bowl will help you cut your lettuce like a champ. All you have to do is add your greens into the bowl, flip it over, and slide your knife through the holes on the sides of the container. Then, voila! You’ll have a perfectly chopped salad. 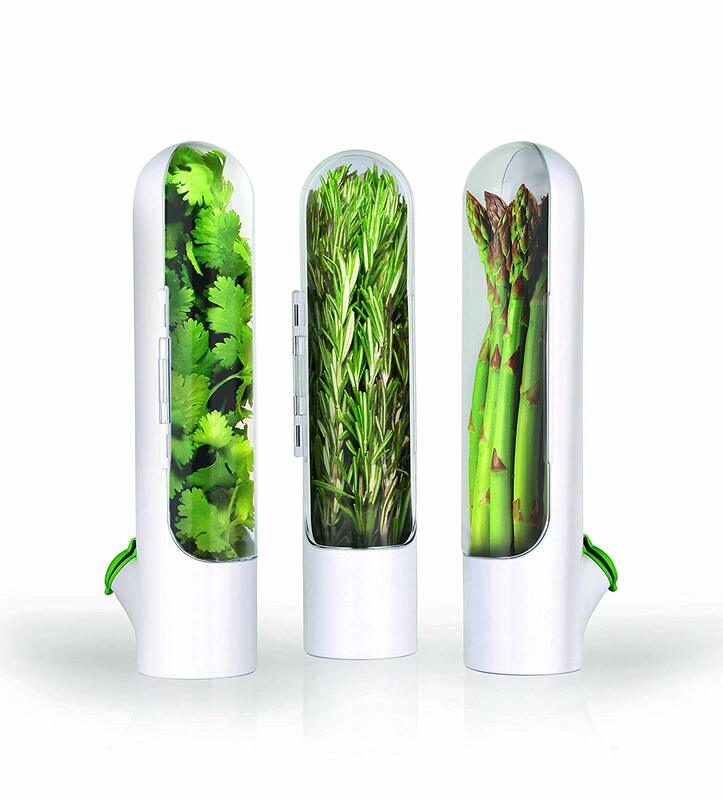 If you’re hoping to preserve your herbs (and make your fridge look futuristic AF), buy some Herb Savor Pods. By adding herbs to a pod and putting fresh water into the cap, you’ll triple the lives of your greens. That’s a pretty huge deal. Cutting cake can always get a little messy, and it’s always kind of annoying to measure out everyone’s individual pieces. 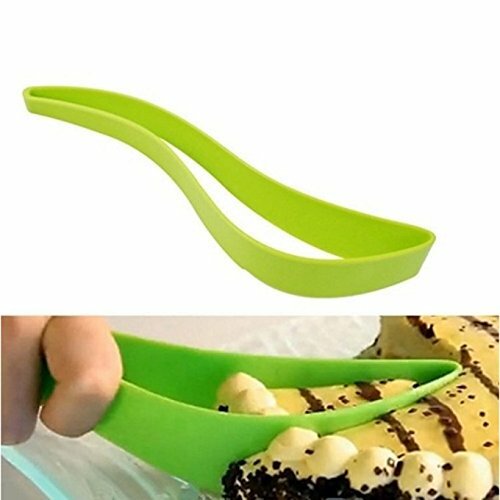 This one-step cake cutter eliminates that process, because it’ll help you cut the perfect piece with one swift movement. 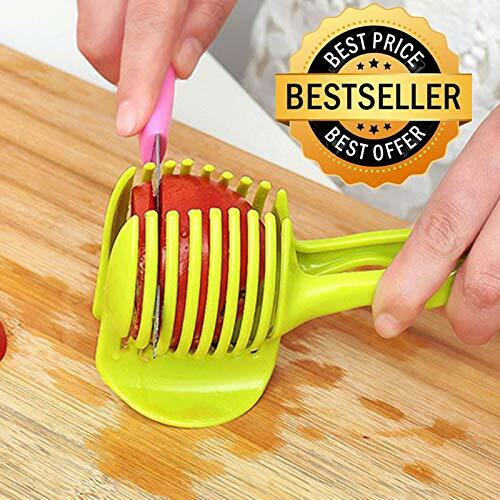 Slicing tomatoes can get a little slippery, and this gadget will eliminate the chances of accidentally gliding the knife into your hand. All you have to do is place the tomato (or onion, or potato) into the grip and use the device’s ridges to help you cut thin slices. If you’re stocking up on kitchen gadgets for the new year, that probably means you’re going to be doing a lot of cooking. Therefore, you’re probably also going to be doing a lot of dishes. 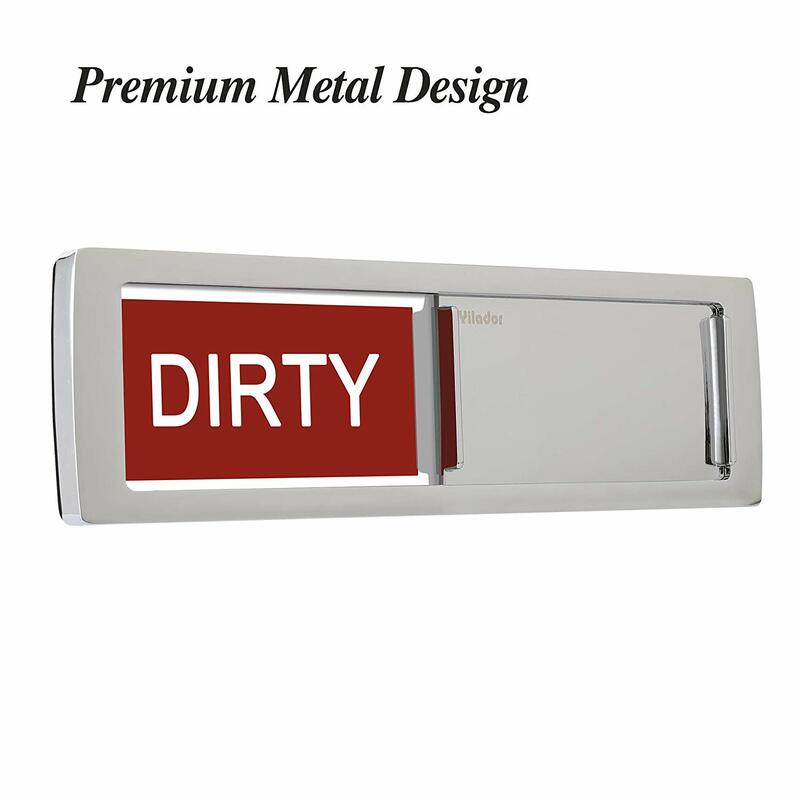 This magnet will help you warn your fam about whether or not the dishes in your washer are clean, which will avoid the dreaded, “Are these dirty?” question. As you can see, there are a ton of kitchen toys waiting for you — and by trying them out, you’ll be starting 2019 on a delicious note. Go ahead and set your New Year’s cooking resolutions so you can start having some fun.